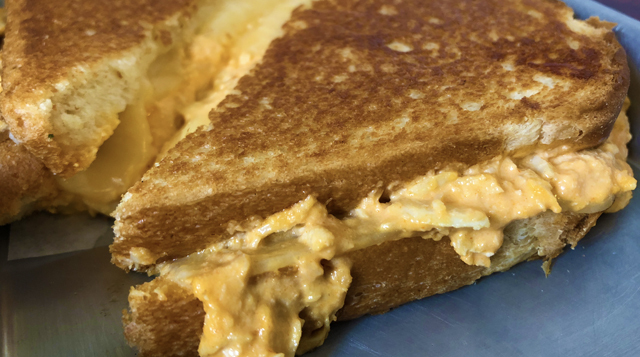 A Gourmet Grilled Cheese Store Inspired Through Passionate Foodie Imagination Bringing An Inventive Take On Everyone’s Favorite Comfort Food. American, Swiss, Cheddar, and Mozzarella Cheeses on Sourdough Bread. It’s every single cheese we have! This delectable Treat has Nutella, Fluff & a Graham Cracker Inside Raisin Bread!